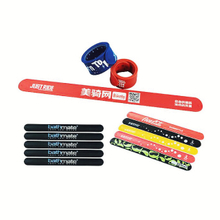 Our customized silicone wrist strap series are made of high quality pure silica gel, it has medium thickness and we can accord your needs to provide you the wide you want. 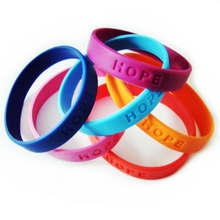 Our custom silicone wrist straps are soft, flexible and very sturdy. 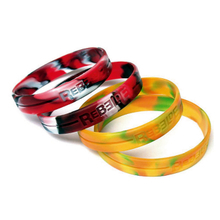 They are completely waterproof, suitable for everyday wear, you can also wear them to go swimming and other sports. 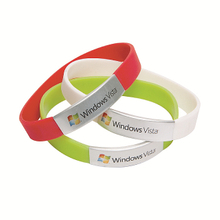 The silicone wrist strap is suitable for people of different ages, including children and old men. You just have to provide the right size. 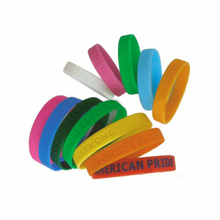 We have several different ways to custom print logo, including laser printing, embossed relief and equip with metal clip. 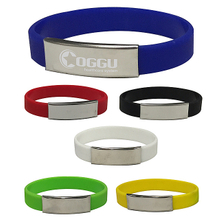 Either way, the letters or logo will not rub off, please rest assured to choose you favorite silicone wrist strap. 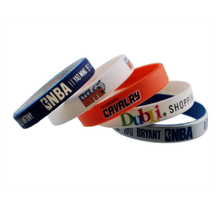 As a professional custom silicone wrist strap supplier in China, we guarantee product quality and offer you beautiful price. You can contact us for more details about the customized design!